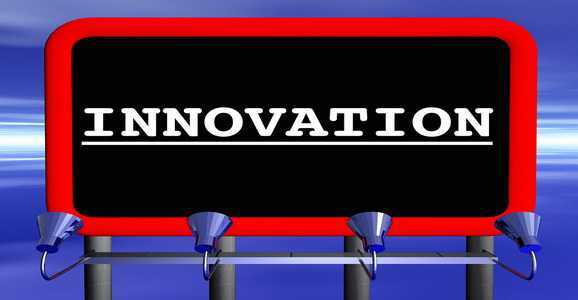 Home Business The Stumbling Blocks Of Innovation – Mindset! If you discuss “innovation” with people, many will say that researching an issue and then finding a solution for that issue is innovation. Whatever the definition of innovation, what a majority of people agree upon is that innovation is only hampered by mindsets. You may have read reports where people identify structures as stumbling blocks to real innovation; however, many look at this as just an excuse for a failure to innovate. It is believed that once the need to innovate is deeply ingrained in one’s consciousness, innovation will take place, despite all odds. There are certain enemies of innovation; long development times, lack of coordination, no customer insight, poor idea selection, lack of proper measurement tools, lack of ideas, marketing failure or communication failure. While these are the symptoms, the main enemy of innovation is the mindset. How does one go about changing people’s mindsets? Experts say this can be done by each person doing what they have to. People are not usually stuck due to extraneous circumstances; they are stuck because of their own mindsets. The shift to innovation has to be made at the mindset level and everything else falls into place at all other levels. Mindset changes are needed at the idea conception stage, decision stage, development stage and marketing stage. Another very important thing to do is to stop deferring. Deference is a mindset that blocks idea conception, manifesting itself as deferring to market trends defined by experts, analysts etc. Breakthroughs do not happen if the company tries to conceive a product based on the existing “expertise,” because the whole idea of trying to fit in to the perceptions of future does not work. Another manifestation of deference is when companies look up to larger competitors and try to follow them. This means they are just trying to live up to the expectations set by others and cannot think on the lines of innovation. Let us take the example of Titan Edge, the slimmest watch in the world. It was created only after the engineers at Titan stopped thinking that if the Swiss watchmakers have not made it, nobody else can. If they continued with that mindset, they wouldn’t have had the distinction of being the creators of this most unique watch. Another aspect of deference is to provide clients’ products they currently need. While it is a fact that “customer is king,” this does not mean that companies play it safe to make these customers happy. Innovation stems from partnering up with clients instead of being subservient to them. We have to step back and ask ourselves what the market needs and not always what the customer needs. We have to learn to drive the market instead of swimming with the tide. This holds true even with regards to internet marketing. People usually tend to follow the few trend setters and make hay while the sun shines. While it is easy to condemn the mindset, it is not easy breaking out of it. There needs to be a starting point to make this shift. For this to happen, one needs to set a challenge to shift, by coming out of the safe and secure arena and take oneself out of the current playing field. Steer away from the current strategies and capabilities, only then is it possible to discover capabilities that we never knew existed. What is insight? Insight changes your view of your company, market or product. This is something that cannot be outsourced and has to be experienced by insiders. This can happen through brainstorming and collecting ideas. A good understanding of how things work outside of our perspective is needed. Only with brainstorming and insight into what others think, can we understand the invisible emotional needs of people. You will need to speak and let others speak for a breakthrough insight, which means getting ideas from different sources. While changing the mindset, brainstorming and coming up with innovative ideas is a step towards innovation; another crucial step is decision making. Decisions that will affect the company will have to be taken. Everything from managing the resources to getting the show on the road needs to be put down on paper. This is the step where certainty and self-protection have to be ensured. Innovation does not mean steering clear of risk completely, but sharing it with the customer, leading to a breakthrough product or service. May of you may think that it is not possible to change customer thinking but it does happen if the product is really innovative and breakthrough. It is important to create completely new channels and create new challenges to interest the customers. Customers may not have deemed something like what you have created is possible and they take to it like fish to water. For innovation to take place, companies need to break out of the traditional mindsets and this should be done as a matter of habit, constantly. Many people tend to look at the possibility of innovation when on the brink of disaster, which does not help.